Charming estate nestled on almost 1.7 acres equipped with a beautiful pool, a barn and a tennis court. 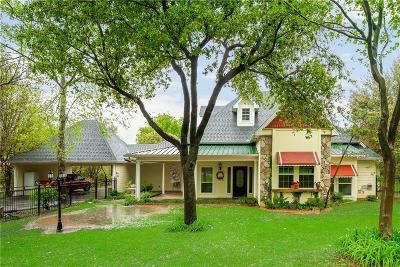 This is the ultimate entertainer home with lush landscaping surrounding the property and plenty of space inside and out. The home features a large living area with hardwood flooring and a stone fireplace, a spacious kitchen, and generous size bedrooms. The kitchen boasts granite countertops, custom white cabinets, a breakfast nook, and stainless steel appliances. Enjoy the tranquil beauty outdoors of the garden in your screened back patio, or cool off in the sparkling pool after a match on the lighted tennis courts. You won't run out of storage with the barn, room to park cars, a boat or an RV. Priced to sell!